This recipe was sent to me by Cook's Illustrated to test, hopefully for an upcoming issue? Spaghetti al Vino Bianco is basically spaghetti and white wine - not something I usually serve because the rest of the family likes everything swimming in red sauce, but I was excited to try this. 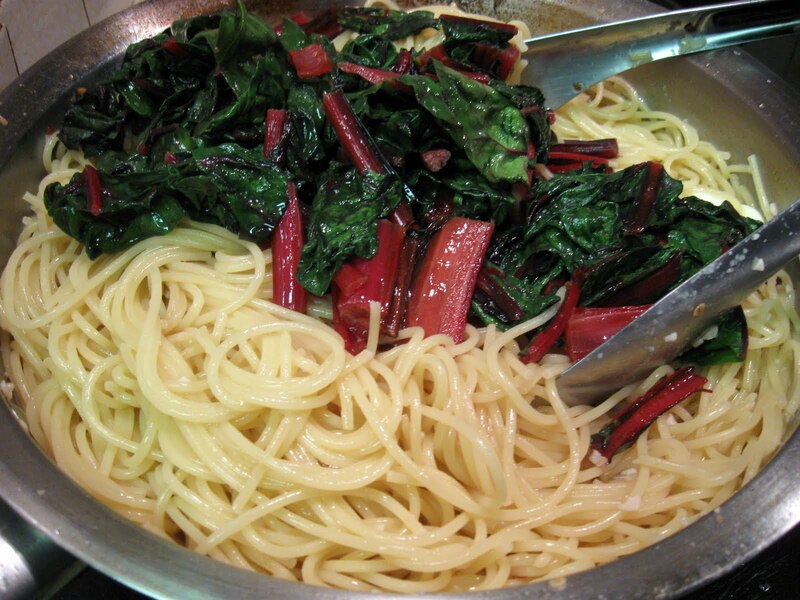 It was also the first time I have ever used Chard with spaghetti and I thought it was a great contrast of flavor and texture. Delicious. My only issue making it now? I - being the genius I can be - did not print the recipe when they sent it. So the following post is from memory (my apologies) Hopefully I get this all correct and you enjoy it as much as I did. 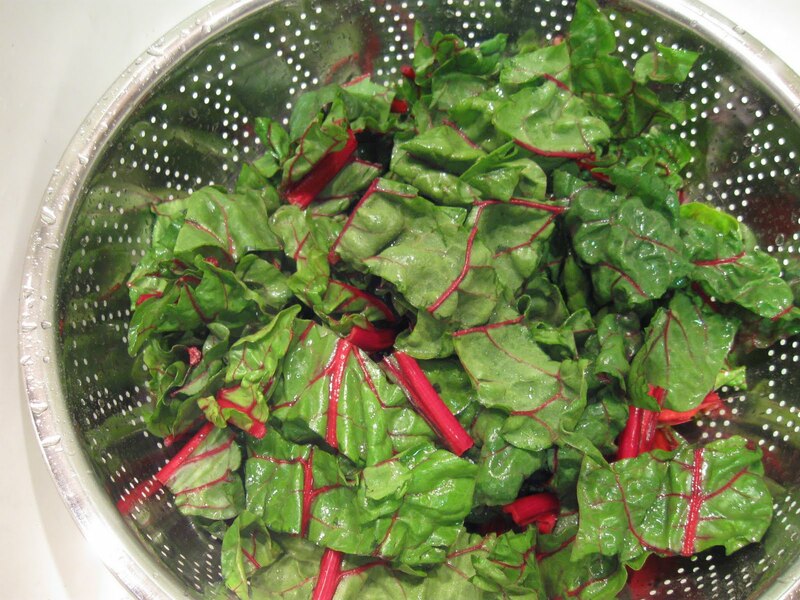 Thoroughly wash and dry the chard. 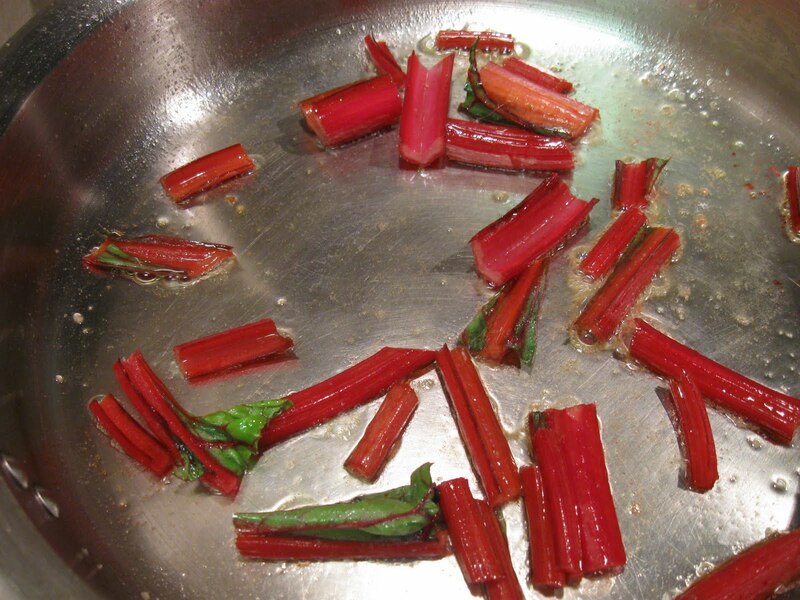 Chop in about 1 1/2 inch pieces - separating as much of the stems as you can. The stems are going to need a couple minutes longer cooking than the leafy parts. In a large skillet (I recommend the 12 inch because that entire package of pasta is also going into this pan) Anyway, in a large skillet add 2 tablespoons of olive oil, a couple pinches of red pepper flakes and 2 cloves of minced garlic. Let all this heat up and get nice and fragrant. 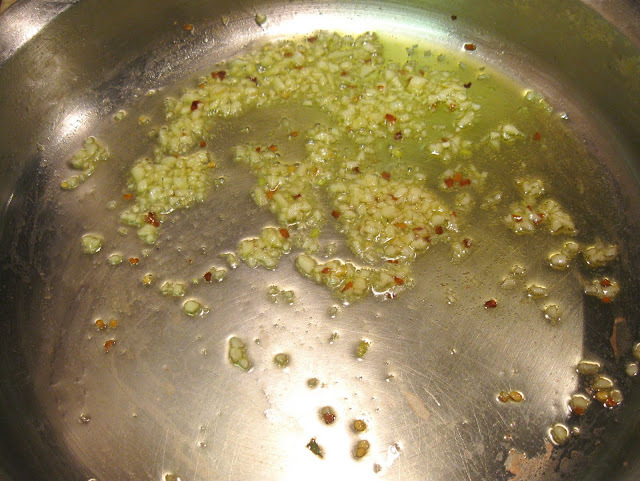 Cook until the edges of the garlic just start to turn a golden brown. 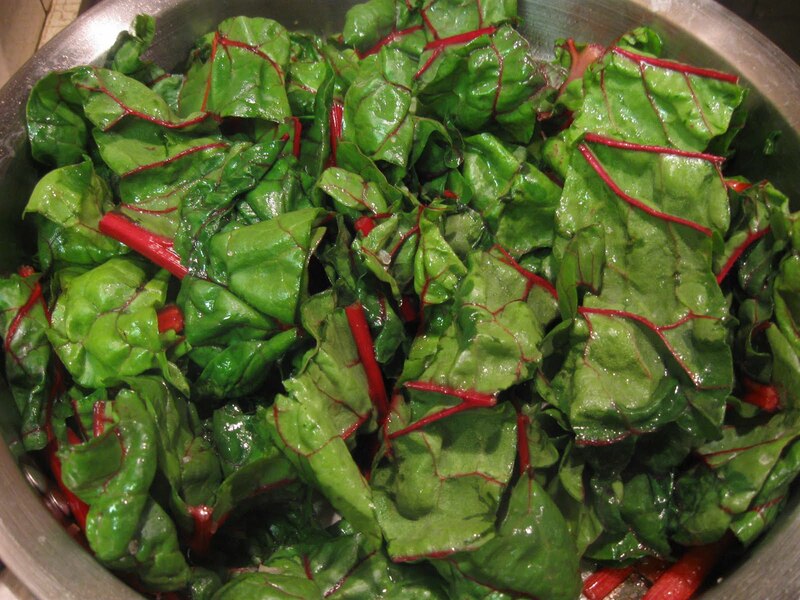 Now add the stems of the chard to the oil, pepper, garlic mix. Next add all the leafy parts. Cook all of this just until it begins to wilt - continuously turning all of it in the pan (pretty much the same way I cook spinach). Out of the pan it is going to continue to cook a bit so try not to overdo it. Once all the greens are finished cooking sort of spread them out on a large plate then set aside. 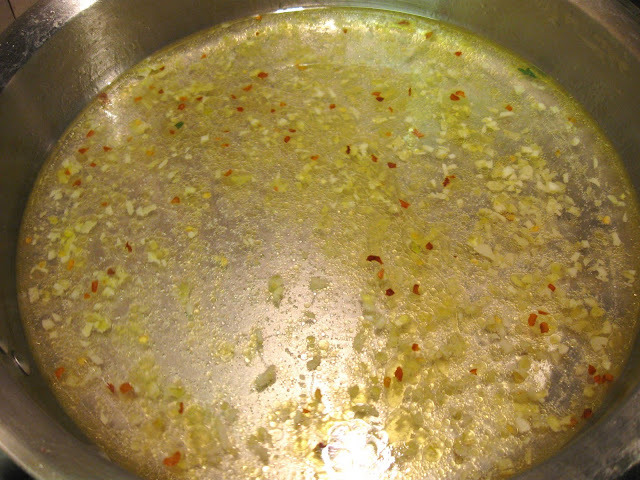 Now - in the same pan - add 1 tablespoon olive oil (I may have added two here) and cook the last 2 cloves of chopped garlic for a few minutes - add another pinch of red pepper here if you like the heat. 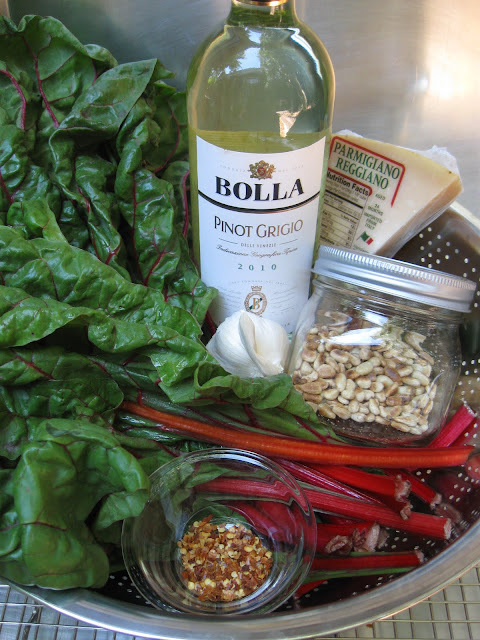 Once the edges of the garlic start turning brown add 1 cup of the wine. Turn the heat up and cook until reduced to about 1/2 cup. Now you need the sugar. Once the liquid is reduced add 1 teaspoon of sugar. Cook for a few minutes then taste. 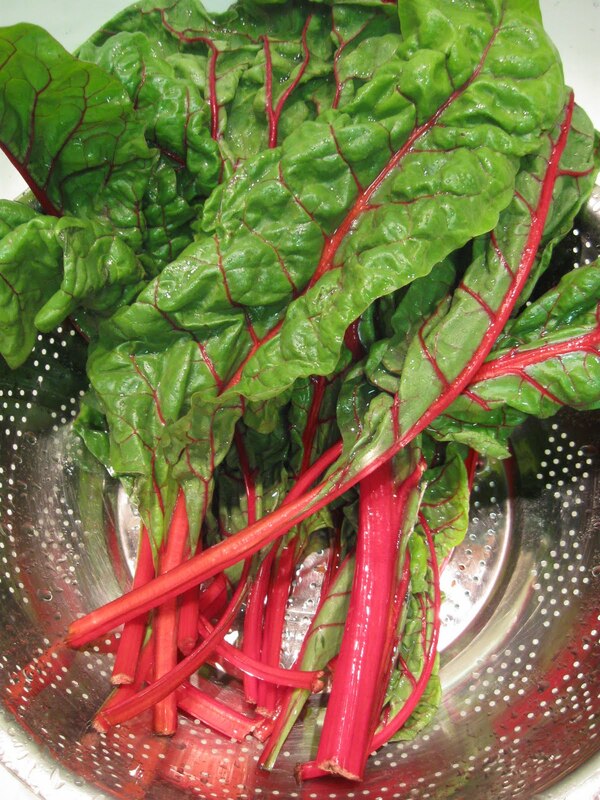 In the wine sauce you want tart and bright but not the strong acidic flavor. If needed continue adding sugar in 1/2 teaspoon increments. I think I ended up adding 2 1/2 teaspoons total. Let all this continue to cook until there is about 1/4 cup of liquid left. I kept tilting my pan up so all the liquid would pool in an edge and I could judge how much longer to cook it. 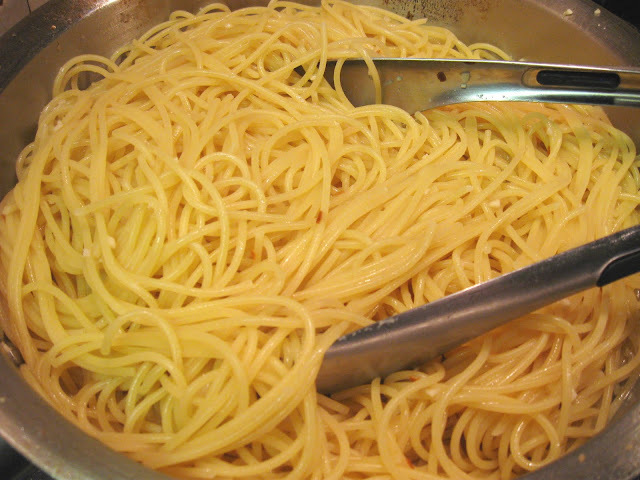 Turn the heat to the lowest setting (or off for a few minutes) and cook the spaghetti. 5-6 minutes. It is going to finish cooking in the pan in the wine sauce. Reserve a couple cups of pasta water then drain the rest. Now add the pasta to the pan and 1 cup of wine. Cook until all the liquid is absorbed then add another cup of wine. Cook until all the liquid is absorbed again and finally just pour the rest of it in there! Cook until most all the liquid has disappeared. 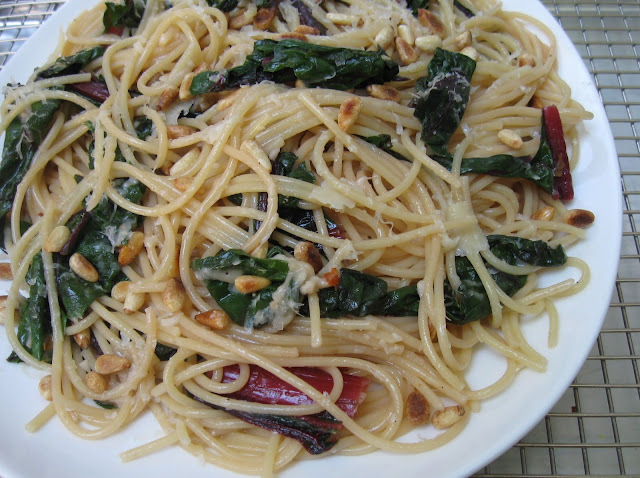 If your pasta is still not quite done start adding your leftover pasta water until it is done to your liking. 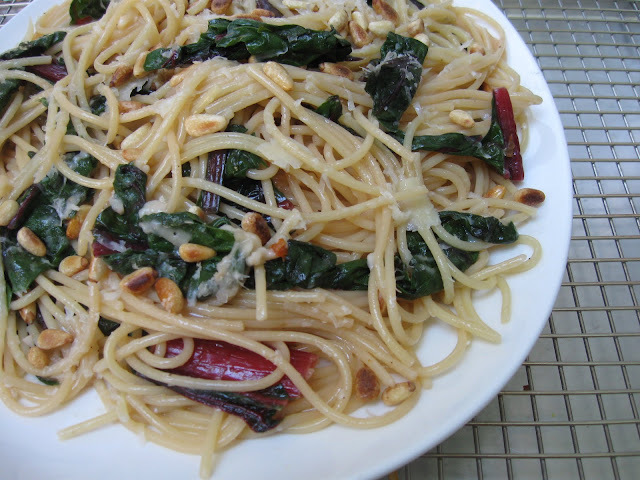 Garnish with more pine nuts and Parmesan cheese.